The Wire Wheel Corporation of America produced the wekk known Houk Wire Wheels. These were an option for later Stanley Steam Cars. 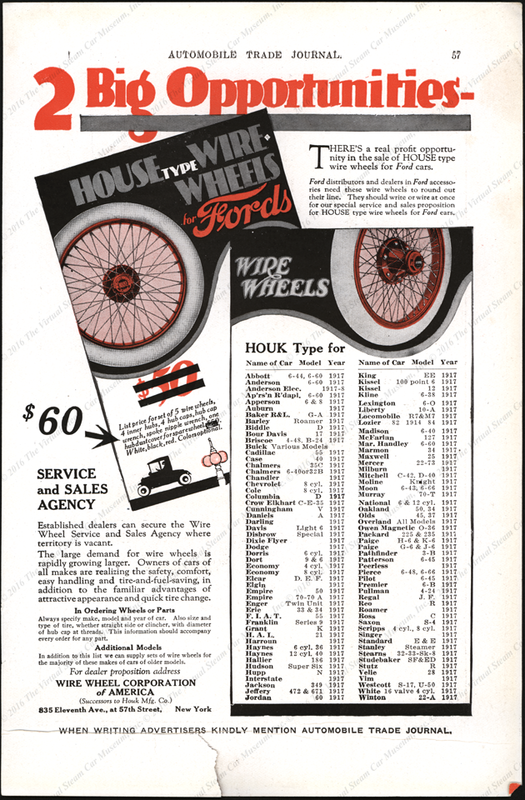 This Houk Wire Wheel advertisement in the Automobile Trade Journal appeared in 1917. It listed the 1917 Stanlely Steamer as a client. Contact us if you have additional information about the Wire Wheel Corporation of America, its Houk Wire Wheels, or if you have questions.